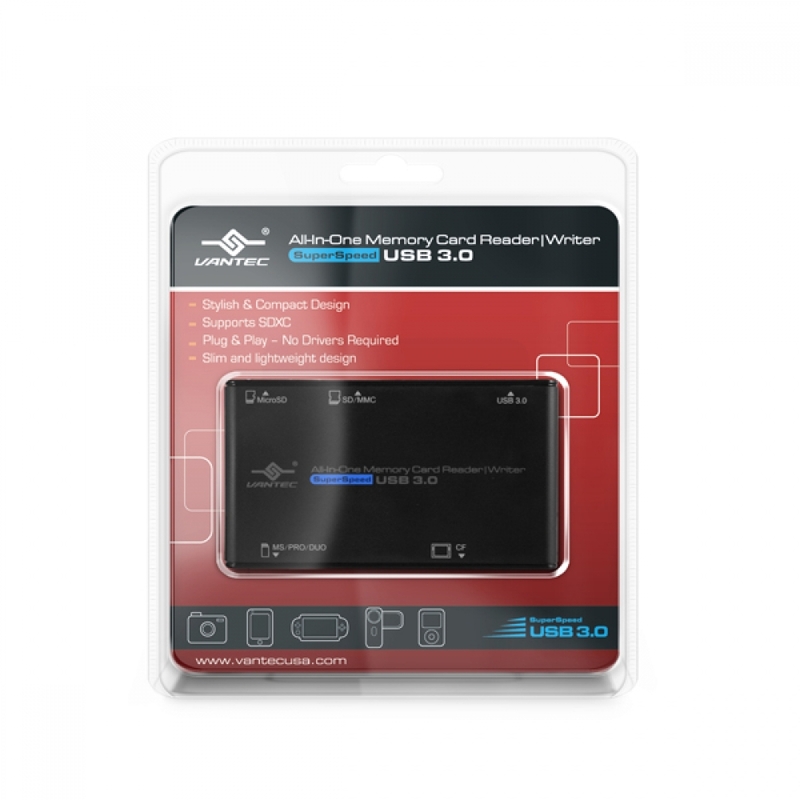 The Vantec SuperSpeed USB 3.0 All-In-One Memory Card Reader/Writer combines style with functionality. Easily backup, transfer, copy files from your Compact Flash Type I/II, Micro SD, SD, SDHC, SDXC, MMC, Microdrive, Memory Stick, Memory Stick PRO, Memory Stick Duo, Memory Stick PRO Duo** memory cards to your computer. 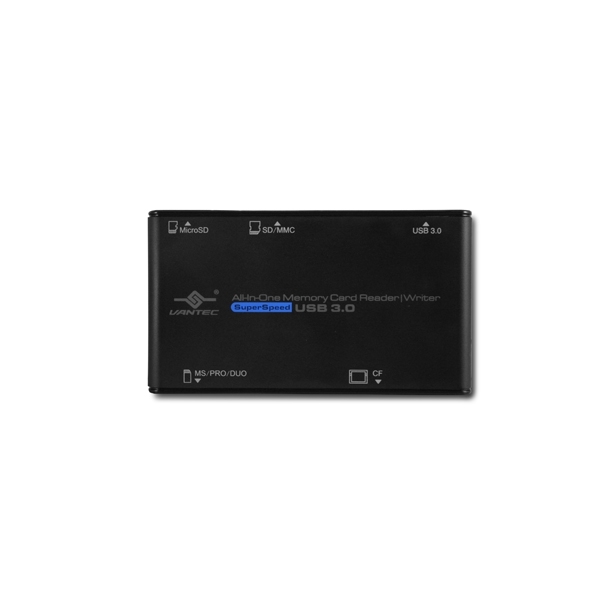 Integrated with the latest USB 3.0 technology, performance is increased by 10 fold offering maximum speeds of up to 5 Gbps. 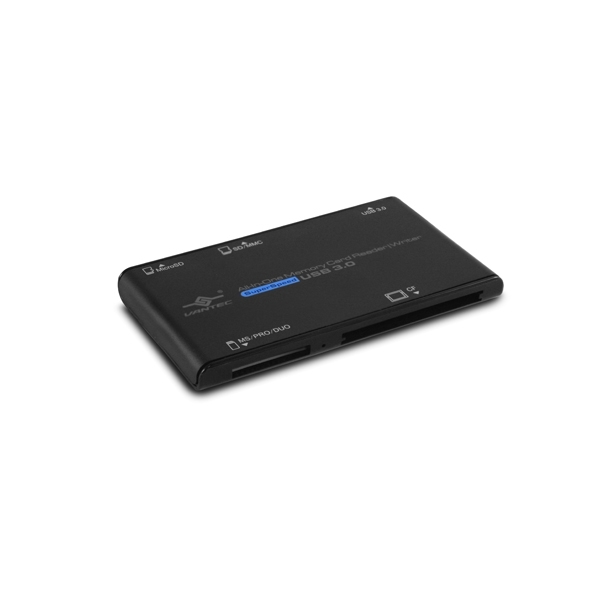 No drivers are required which makes it practically a simple plug & play device that enables you to read and write to your memory card with ease. Whether you are transferring or copying files to or from a memory card, the Vantec SuperSpeed USB 3.0 All-In-One Memory Card Reader/Writer is the perfect device for you. *Some memory cards might require an additional adapter.